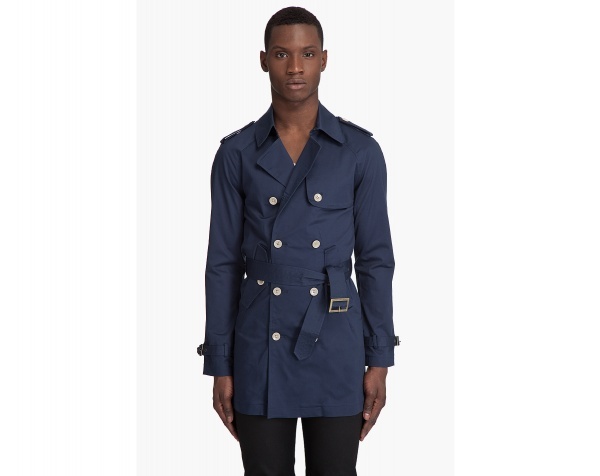 From Shades of Grey comes this Inspector trench coat in navy. The double-breasted jacket features epaulet shoulders, flap pockets, belted sleeve cuffs and a self belt at the waste. An essential for any wardrobe, this trench coat is available online.